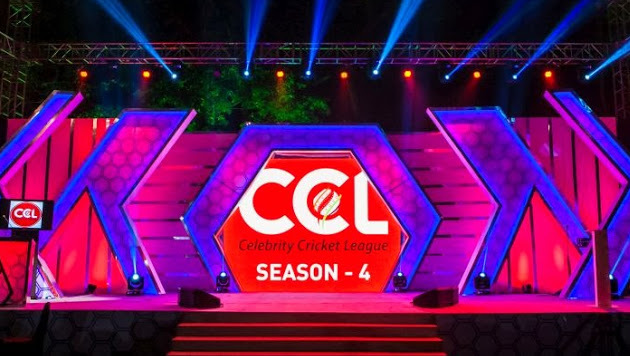 4 Teams Enters The Semi Finals Of The Season 4 Of CCL. Kerala Strikers, Bhojpuri Dabanggs, Karnataka Bulldozers , Mumbai Heroes are The Teams. CCL Season 2014 On This Saturday, 22 February at Hyderabad. Celebrity Cricket League 2014 Final Is On This Sunday, 23rd February 2014. Kerala Strikers V/s Bhojpuri Dabanggs First Semi Final Is On Saturday, 22 February 2014. match Venue is Hyderabad and Time Is 3.00 pm to 7.00 pm. 1st Semi finals of CCL Season 2014 is Live On 1, Rishtey, 2, Asianet, 3, Zee Bangla, 4, Zee Talkies and 5, Big Magic Channels. Karnataka Bulldozers V/s Mumbai Heroes Is The Second Semi Final In CCL Season 4. The match date is 22 February 2014 at Hyderabad and Time Is 7.00 pm to 11.00 pm. This Cricket match is Live on 1, Rishtey, 2, Suvarna TV, 3, Zee Bangla, 4, Zee Talkies and 5, Big Magic Channels.